Boycott, Divestment, Sanctions (BDS) released a statement on Monday condemning the singing of a song with the lyrics “dubula ijuda” (shoot the Jew) at a protest it was a part of. Some protesters adapted the South African “dubula iboer” to “dubula ijuda” at a protest against an Israeli Musician who was performing at the Wits Great Hall on August 28. Wits vice chancellor, Prof Adam Habib when approached by Wits Vuvuzela said singing the song was irresponsible but Wits is yet to make an official statement. Coordinator of BDS , Muhammed Desai’s initial response to the song being sung was that many African people in South Africa when using the word “Jews” meant it in the same way they would have during the eighties. “Just like you would say kill the Boer at funeral during the eighties it wasn’t about killing white people, it was used as a way of identifying with the apartheid regime”. Many found his response unsavory, even BDS supporters. The University of Cape Town’s Palestine Solidarity Forum said it was “dismayed by this reasoning and feels that this version of the song has unacceptable and explicit anti-Semitic elements”. 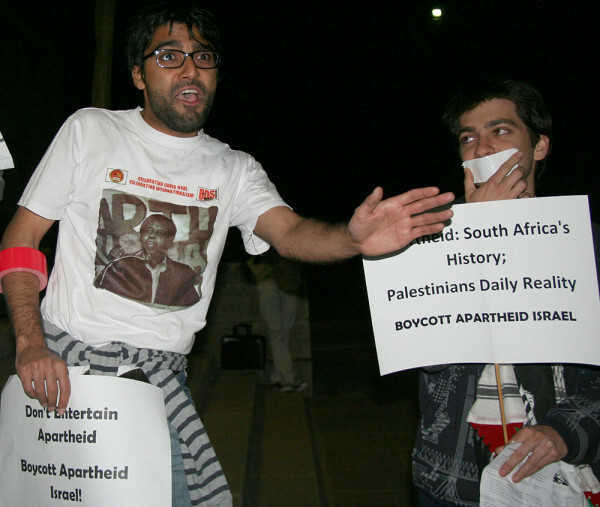 Rhodes University Palestinian Solidarity (RUPSF) forum said Desai held “disturbing views”. RUPSF said it could not “be complicit in the condoning of racism of whatever sort” and demanded that BDS South Africa offered an “unqualified apology and an unqualified rejection and statements made by Desai”. RUPSF also said it wanted Desai to resign from his position and those involved in making the decision to sing the song excluded from the campaign. RUPSF said that unless these demands were met it could no longer continue supporting BDS South Africa and “the broad campaign it is leading”. Desai said the people he was reporting to had not asked him to resign so he was not going to. In the statement it released by BDS South Africa condemned the singing of the song but offered no “unqualified apology” and did not mention any plans to take action against those who sang the song. The South African Jewish Board of Deputies however said it was following up on the incident and would be taking “appropriate action”. Wits Vuvuzela. Habib calls anti-Semitic song irresponsible. August 30, 2013.